A confirmation message will be sent to your mobile phone. Texts may be sent using automatic telephone dialing system. Reply/Consent not required for any purchase. Periodic messages. 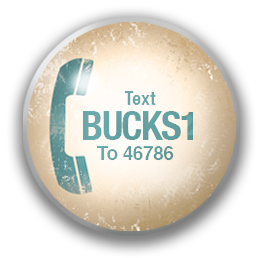 Reply STOP BUCKS1 to cancel, Reply HELP for help. Msg & Data rates may apply.